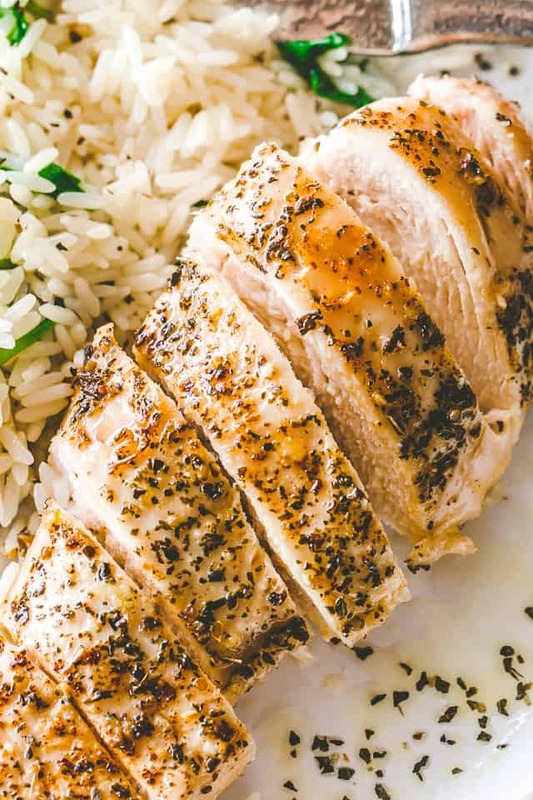 Easy Baked Chicken Breasts Recipe – Tender and juicy, perfectly baked chicken breasts! The one and ONLY method and recipe you will need for baked chicken. Easy Baked Chicken Breast Recipe - Tender and juicy, perfectly baked chicken breasts! The one and ONLY method and recipe you will need for baked chicken. Lightly grease a 9x13 baking dish with cooking spray. Place a pat of butter over each chicken breast. Place a sheet of parchment paper over the chicken breasts. Tuck the edges so that it's snug around the chicken. Serve right away OR remove from baking dish; let completely cool and keep in the refrigerator for up to 5 days. 0 Response to "Easy Baked Chicken Breasts Recipe"